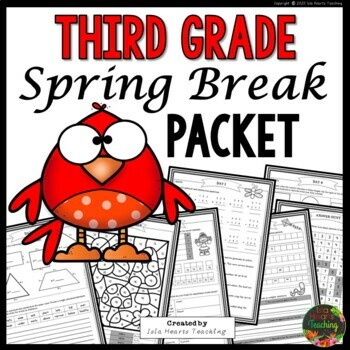 This third grade spring break packet is for students to review math and ELA skills in the week they are on spring vacation! 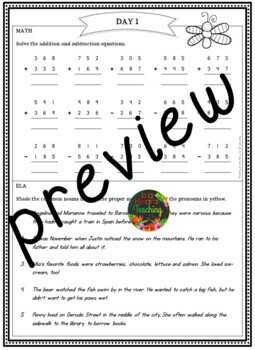 These NO PREP homework worksheets include a week of engaging printables for you to print and send home with your students. 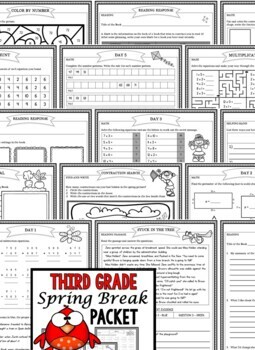 In addition, there are two printable weekend activities, a reading log with activity sheets, answer keys and extra printables for even more spring learning!